5.30pm The red carpet is getting started and the guests are arriving. Our nominees begin to hit the red carpet around 6pm and we can’t wait to see what they’re wearing. We’re hoping for traditional dress, gowns and tuxedos! 5.45pm We certainly got gowns. 6.30pm Only one hour to go until the Ceremony begins. 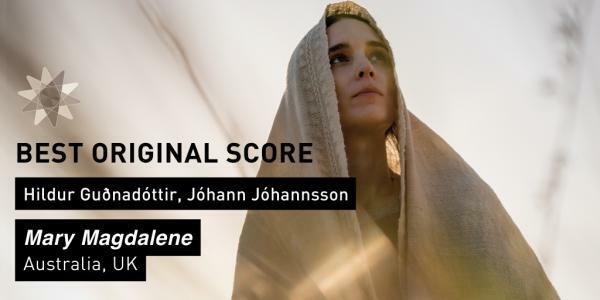 We will be keeping you posted with our winners throughout the night and offering you photos and videos of the ceremony so make sure you keep up with us on here as well as on Twitter @ apscreenawards. 7.00pm Our hosts are here and have hit the red carpet. And as you can see, they’re looking fabulous. We took a sneaky shot to tide you over until our official galleries get up. 7.28pm We’re about to start here at the Brisbane Convention & Exhibition Centre… We’re excited to find out this year’s APSA winners! 7.34pm The 12th Asia Pacific Screen Awards begins with an incredible Welcome to Country performance by the Nunukul Yuggera Dancers. This fames troupe have performed for kings and queens and brought their traditional opening blessing to the APSA ceremony for the third year in a row. 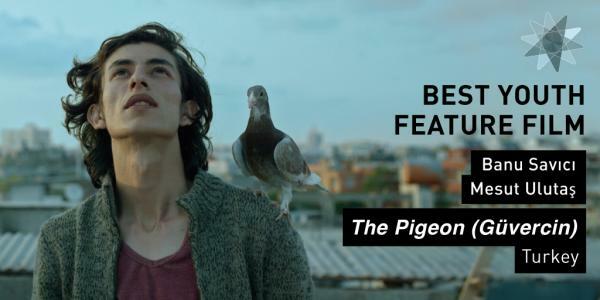 7.39pm APSA is excited to have internationally acclaimed New Zealand actor – and an APSA winner, too! – Cliff Curtis as our host this evening alongside Sofie Formica, hosting once more for the third time. Cliff was most recently seen in the United States/Republic of China co-production of The Meg and will feature in the next four Avatar movies for superstar director James Cameron. He was first nominated for an APSA in 2010 for producing Best Children’s Feature Film nominee Boy directed by Taika Waititi, and then won four years later won Best Performance by an Actor for The Dark Horse. 7.41pm Chairman of APSA and its Academy, Michael Hawkins, takes to the stage to talk about the community of Asia Pacific. Tonight is a night “for the filmmakers whose works have captivated and excited us, moved us and invited us to experience their worlds.” Everybody here tonight is here to celebrate these filmmakers whose films have brought us all closer together as a region. 7:40pm Lord Mayor of Brisbane, the Right Honourable Graham Quirk is up now recognising the role Brisbane, Australia’s New World City, plays in bringing this extraordinary and unique event to the world. 46 films from 22 Asia Pacific countries is always an impressive statistic, but even more so when spoken to the world. 7.48pm This year’s International Jury members are taking to the stage. Read more about them here. 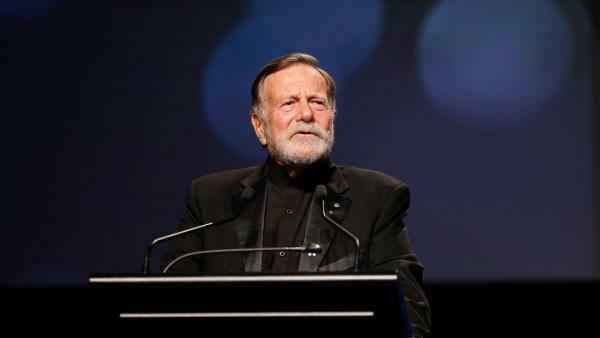 7.50pm Jack Thompson AM PhD is on stage delivering one of the stand-out moments of the night as he introduces all of this year’s nominees and Jurors into the APSA Academy and welcomes all of this year’s nominees to the stage to stand together. 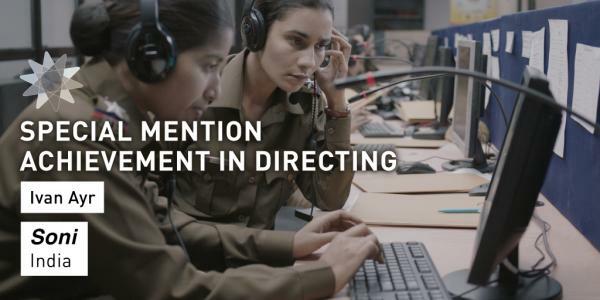 It’s a moment that really shows how impressive this initiative is. “Film is my life which is why I’m here and why I’m proud to be the president of this academy”. 8.00pm We are taking a short break while our guests enjoy their entrees and will be back with the first award of the night – the Young Cinema Award! 8.30pm APSA returns with a special performance by Taikoz and Cliff’s “cuz” Horomona Horo. 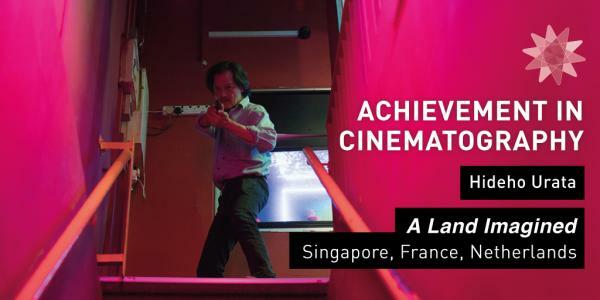 8.38pm The winner of the Young Cinema Award presented by NETPAC (Network for the Promotion of Asia Pacific Cinema) and Griffith Film School (GFS) is Yeo Siew Hua for A Land Imagined (Singapore, France, Netherlands). 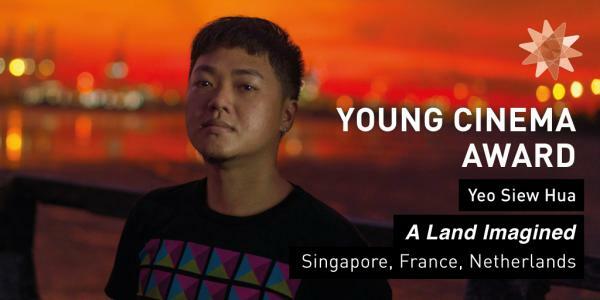 Yeo won this award after becoming the first Singaporean filmmaker to take out the top prize at a major international festival (Locarno’s Golden Leopard). 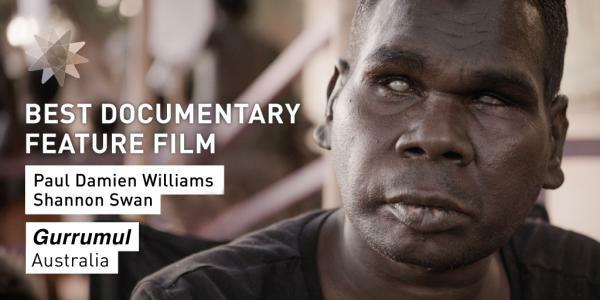 8.58pm APSA is happy to announce the creation of a new film fund to sit alongside our other development initiatives. APSA and the Sun Yat-Sen Cultural Foundation today launched a new script development fund, the APSA Academy Sun Yat-Sen Bo Ai Film Fund. 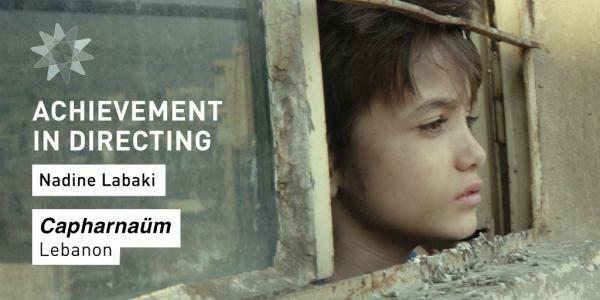 Exclusive to APSA Academy members, the fund supports a film project which demonstrates cinematic excellence and aligns with the Foundations Ideals: the embodiment of the ‘Bai Ai’ (Universal compassion) spirit, promotion of tolerance, inspiring positive change and fostering the human spirit. The inaugural recipient is Fares Fayyad of Syria with his project The Cave. Fayyad won the APSA for Best Documentary Feature Film in 2017 for Last Men in Aleppo and was later nominated for an Academy Award® for that same movie about the White Helmets of Syria’s civil war. He will receive AU$20,000. We congratulate them all and look forward to seeing their projects come to life. 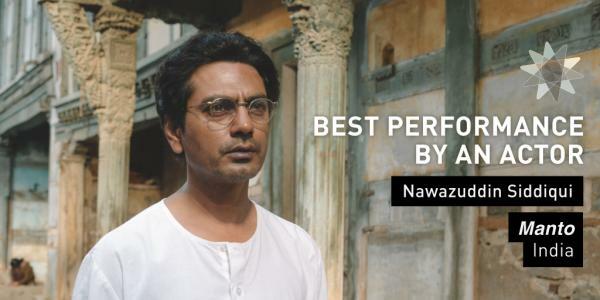 9.16pm The annual FIAPF Award is awarded to trailblazing Indian actress and director Nandita Das. She has acted in more than 40 feature films in ten different languages. Her works as a filmmaker have seen inspired and audacious stories meet with worldwide acknowledgement and success. They have influenced the Indian film industry and enriched international audiences’ understanding of Indian culture. Read more about our FIAPF recipient here. 9.23pm It is time for our guests to enjoy dinner and we will return for more awards afterwards. 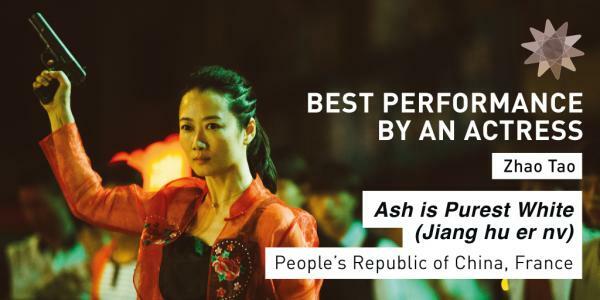 9.54pm And we’re back after another brilliant musical performance with the presentation for Best Performance by an Actress to Zhao Tao for Ash is Purest White. She played a mobster’s girlfriend who is tested across three time periods. The APSA was accepted by the film’s producer Shozo Ichiyama who has produced many of Zhao’s collaborations with director Jia Zhang-ke including Platform, Still Life, A Touch of Sin and Mountains May Depart. 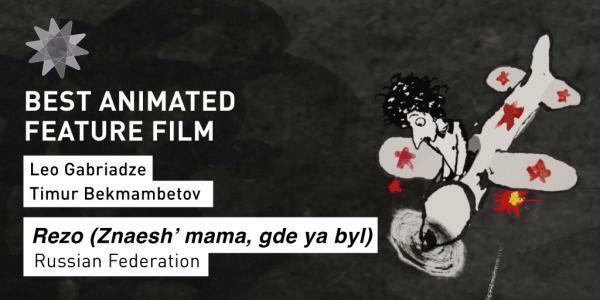 10.23pm The APSA International Jury has also decided to award a Special Mention to Ivan Ayr for Soni. He gives a passionate speech thanking the female police women who opened their lives to him and allowed him to tell their stories. Thank you for joining us here tonight. Only 357 days until the next APSA ceremony to be held on Thursday 21 November, once again in the New World City of Brisbane, Australia.